Cyberjaya was always built with the future in mind. One of the main efforts done include introducing the Lo-Ra network throughout the city. Lo-Ra (short for Long Range) is a platform in the Low-Power Wide-Area Network (LPWAN) space. It is ideal for exchanging small packets of data between battery-powered connected objects (i.e IoT sensors) in a long range. It is one of the many data communication networks (WiFi, 3G, 4G, etc) available in Malaysia today. Last year, Cyberview, the enabler leading Cyberjaya’s transformation into a global technology hub and Atilze, a company specialising in delivering IoT services signed a Memorandum of Understanding (MoU). The MoU was to install Lo-Ra gateways and start developing as well as implementing IoT applications to boost Cyberjaya’s smart city ecosystem. So how has this network affected the city so far? We speak to Mahadhir Aziz (Head of the Technology Hub Development Division of Cyberview) and Gerard Lim (CEO of Atilze) about the 4 efforts they have conducted with Lo-Ra technology in Cyberjaya. 1) Compiling data retrieved through the Lo-Ra sensors. Focusing on the environment, Cyberview and Atilze used the Lo-Ra network to deploy sensors that can measure the Air Pollution Index, Air Quality Index, temperature and humidity in 10 spots in Cyberjaya. The data collected is then analysed to help stakeholders in various ways. For example, school principals and managers of public facilities can know the air quality real-time so they can take necessary precautionary measures for any outdoor decisions. Cyberview can compare the data with those published by the Department of Environment to work with authorities on better ways to measure air quality and make this information available for the general public. 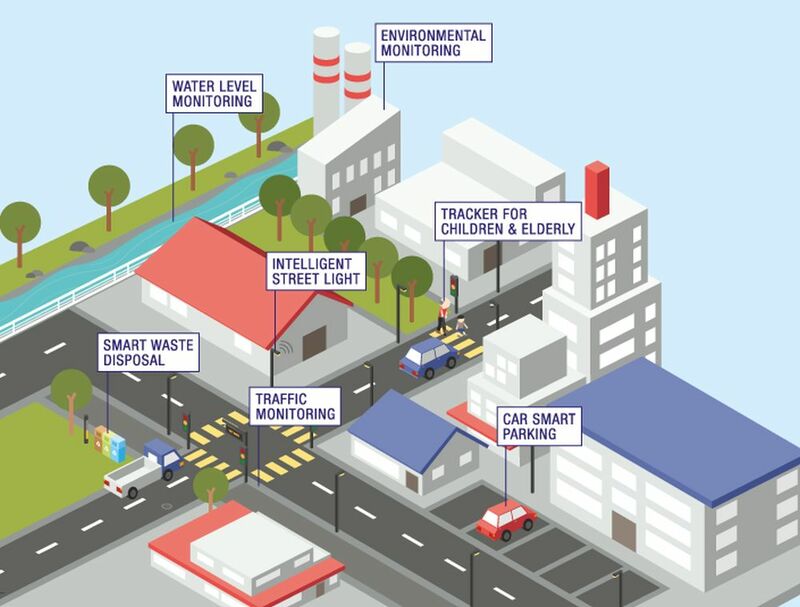 “We are in a better position today in understanding ways to improve the deployment of the Lo-Ra network, the sensors and how to best harness the technology to achieve our smart city goals using IoT and wireless sensors,” said Mahadhir. 2) Expanding the Lo-Ra network beyond the test bed area. 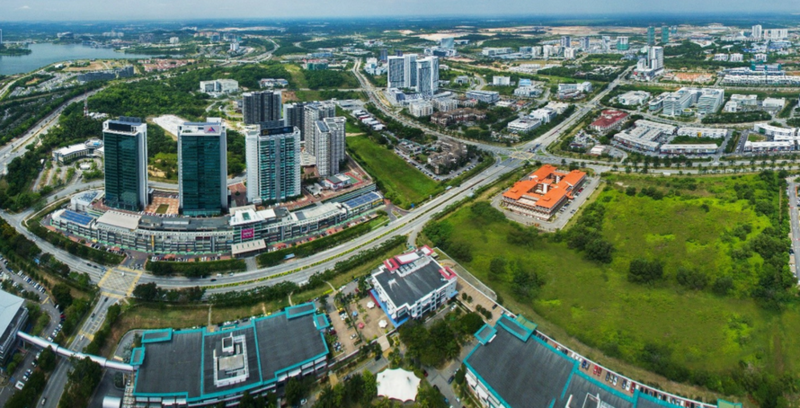 Cyberjaya has been promoted as a test bed for a while now, but that does not mean projects deployed in the area should remain confined there. Back in April, Atilze announced the expansion of the Lo-Ra network through Klang Valley by installing additional 28 gateways alongside the 2 existing ones in Cyberjaya. “You can say that almost the entire region of Klang Valley is now covered under Lo-Ra network, which gives more incentive for companies to come test in Cyberjaya to prove their projects before bringing it elsewhere. We are constantly encouraging companies, regardless of their maturity stage to come and test their ideas and solutions here in Cyberjaya,” said Mahadhir. Cyberjaya also has a very receptive community with 20% of the city’s total population being early tech adopters. 3) Giving developers access to networks via one platform. Now with the Lo-Ra network deployed through the city, Cyberview and Atilze are planning on building a platform that would gather individuals and companies interested in IoT to run projects on. The platform is named Fabrick and technopreneurs are allowed to use its resources to develop solutions based on Lo-Ra. Fabrick is technology agnostic, which means that solutions might be deployed on various LPWAN platforms and protocols. But since Lo-Ra has an ease of implementation aspect where it can easily transfer small packets of data like binary files, it is suitable for many systems like smart parking and smart farming. Gerard talked about how Fabrick was a significant part of the MOU from the beginning as both parties wanted to have a platform that encourages participation from the entire ecosystem. 4) Building an ecosystem with various facilities prepared. When the iPhone was released 10 years ago, the beauty wasn’t just in the phone. It was the App Store too. It enabled people to participate and develop apps where they could make something they personally enjoyed and earn from it by selling it to others for their enjoyment too. 1. Wireless networks are made available for developers to test products that could then benefit them commercially. This ensures that the ecosystem grows rather than staying stagnant. For smart city solutions, startups can also participate in the Cyberview Living Lab Accelerator Programme (CLLA) which is conducted out of Cyberview’s collaborative working space, CoInnov8. 2. Local and regional startups can come to Cyberjaya for mentoring and guidance to develop their ideas at Malaysian Global Innovation & Creativity Centre (MaGIC) under their global accelerators. 3. The Futurise Centre, a new hub supported by the Cyberjaya Innovation Fund for the Future (CIFF), has corporates waiting to invest and purchase these solutions that businesses or startups may develop. 4. The Cyberjaya Innovation Council (CIC) facilitates the smooth implementation of Cyberjaya Smart City projects. The CIC, led by Cyberview, comprise of Malaysia Digital Economy Corporation (MDEC), Malaysian Global Innovation & Creativity Centre (MaGIC), Malaysian Communications and Multimedia Commission (MCMC), Setia Haruman, and Sepang Municipal Council. “This ecosystem helps everyone participate in their own way but gain the same benefit. An example would be Setia Haruman allowing the Lo-Ra sensors to be deployed in their area or MDEC possibly matching Atilze with other companies. It’s a win-win for all,” said Mahadhir. “We want to bring IoT to life by showing the benefits and values it offers. A lot of people talk about it but if it’s not tangible, it remains a buzzword,” said Gerard.